Raindrops offers a range of high quality, high performance outdoor clothing for babies, toddlers and children. Designed for outdoor play whatever the weather, there's Rainwear, Merino wool thermals for children and adults, natural rubber wellies, moccasin slippers, hats, gloves and more. Our ever popular high performance Scandinavian rainwear range from Tells/Abeko and Denmark's Ocean Rainwear. Soft, supple, natural rubber wellie boots plus wool socks ideal for wellies, baby booties and luxurious baby socks. An extensive range of our incredibly comfy merino and merino/silk thermals: perfect base layer all year round! Hand sewn Swedish moccasins with leather soles - a cross between a sock and a shoe in classic and fashion designs. Children's outdoor clothing - from the home of outdoor play! Keep your kids warm this winter with Raindrops. Take a look in Children's Rainwear, Moccasins, Children's Footwear and Merino Thermals. And don't forget - you can also pick up a bargain in our end of line Clearance department. Raindrops are specialists in children's waterproofs for school and for play. Take a look at our rainwear with new styles and many firm favourites in our range of waterproof jackets, dungarees and trousers. Wellies made from natural rubber are essential wet weather gear plus our comfortable Swedish moccasins are ideal for wearing indoors at home or at nursery. 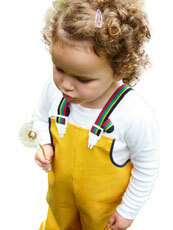 Our soft, flexible, comfortable yet robust dungarees and jackets are perfect for all year round. Enjoy outdoor play with your children, whatever the weather! Choose from our range of Merino wool thermal base layers and fleece mid-layers. Perfect for delicate skin, Merino underwear's thermal properties keeps children cool in the summer and warm in the winter. Choose from Merino base layers for babies, toddlers, children and adults. Raindrops has been helping schools, nurseries and forest schools deliver outdoor play for over eighteen years. Our tried and tested waterproof jackets, rainsuits, trousers and dungarees are practical and robust enough to cope with children at play, yet soft to the skin for maximum comfort. Our attractive discount scheme for bulk orders – ensures that your budget goes further, without compromising on quality. Take a look at our Schools and Nurseries section to find out more, donwload our Schools brochure and, new for this season, online ordering for Schools and Nurseries.